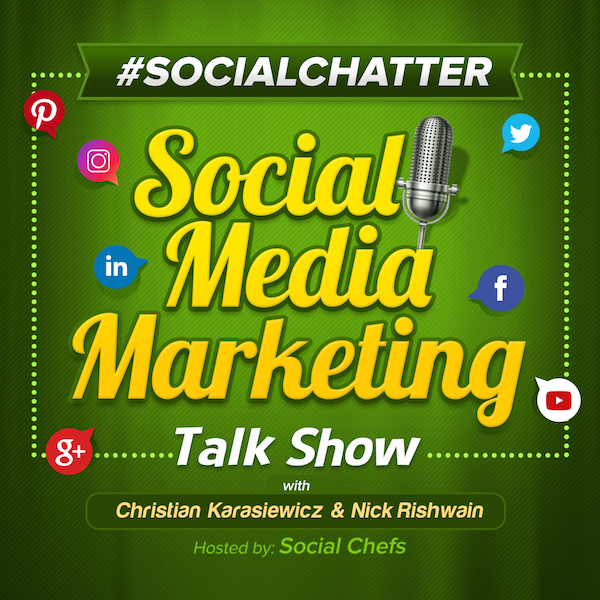 On this week's episode of Social Chatter, your weekly social media marketing talk show, we explore YouTube ad pods, LinkedIn Stories, Facebook Watch Party, Instagram alt text, the screen recording tool, Loom and more with Christian Karasiewicz, Phil Gerbyshak and guest, Vincent Orleck. In Facebook news, Facebook Watch Party is now available to Pages and people. Facebook Watch Party "enables people, creators, and publishers to watch, discuss and react to playlists of videos together in real time, in a shared space." Here is a what a Facebook Watch Party looks like. Watch Parties make it easier for you to engage with your audience on Facebook. Depending on the type of business that you run, you may find different ways to use Facebook Watch parties. For example, if you're giving a tutorial, people can tune-in to watch your video together (and discuss it). Some people will use Facebook Watch Party to launch a product - you can use this as an opportunity to gather feedback about the product. In addition to making Watching Parties available to Pages, Facebook is also rolling out the ability to schedule a Watch Party along with live commenting for Pages and Groups. For those of you who want to launch Facebook Watch Parties from your Page, here are instructions. You will see a message that says "Your Watch Party Is About To Begin." To end a Watch Party, click on the … menu and select End Watch Party. If you're still unsure how a Facebook Watch Party applies to your business, feel free to reach out to us with questions or for help brainstorming ideas. You can read more about Facebook Watch Party here. Also in Facebook news, they are rolling out a feature called Facebook today in, that "connects people to local news and information about their community." This new feature is currently available in over 400 cities in the US, as well as in Australia. With "Today In," you'll be able to see local news and community information on Facebook. Here is a look at the today in local news feature. Keeping up with local news can be a great way to find new opportunities for your business. One thing we really like about today in on Facebook is how it brings together news as well as local events. Currently, you have to use the Facebook Events app to find out what is going on in your area. With today in, you can quickly see all of this information quickly - from the Facebook app. In addition to local news, Facebook is also going to be testing a feature to send local alerts from Government and First Responder Pages - this way you can know what is going on if you are in an affected area. To see where Facebook's today in feature is currently available, click here. You can read more about Facebook today in news here. In YouTube news, they are launching YouTube ad pods, which will add two skippable pre-roll or mid-roll ads stream, one after the other for videos. YouTube is rolling out new ads over the coming months that they are calling ad pods. They're essentially commercials for YouTube. As you can see from the above screenshot, you can watch ads now to get fewer interruptions while watching other videos. While these aren't rolled out to everyone (they're supposed to be coming in the next few months), business owners who use YouTube ads, might want to tap into this feature when it becomes available. Currently, you can skip a video after 5 seconds. Most viewers are growing increasingly tired of ads on videos. By adding them to the beginning of a video, YouTube can still help you monetize your channel, while still appeasing advertisers with YouTube ad pods. According to Google, when viewers watch two ads in a row and experience fewer interruptions, there us an "eight to 11 percent increase in unique reach and a five to 10 percent increase in frequency for advertisers, with no impact to Brand Lift metrics." While ad pods aren't released yet, the early signs seem positive for viewers, advertisers and business owners. You can read about YouTube ad pods here. In LinkedIn news, they are testing LinkedIn Stories with a new feature called Student Voices..
You already have Facebook Stories, Instagram Stories, and Snapchat Stories. You'll soon have LinkedIn Stories if this feature is released to everyone. LinkedIn is currently testing a Stories feature that is similar to the other major platforms mentioned. Right now, it's only available for to college students in the US in a feature called Student Voices, but we anticipate it will be released to everyone eventually. While you likely won't have this feature yet, we suggest getting the hang of using stories on other platforms, since the implementation will likely be similar. This way, when LinkedIn releases stories, you'll be ready. Remember, stories are a way to share snippets of what you're working on, so don't post the same update across all of your social media channels. Instead, consider making stories unique to your audience on that respective channel. To read more about LinkedIn Stories, click here. In Instagram news, they are working on adding Instagram alt text for photos in order to make their platform more accessible. You want to make your Instagram content available to as many people as possible, right? Instagram is adding a new field when you make a new post on their site - it's for adding alt text to your photos. Instagram alt text adds "automatic alternative text so you can hear descriptions of photos through your screen reader when you use Feed, Explore and Profile." If you want to add a richer description to your photos that you upload, you can do that as well simply by editing the Instagram alt text field. Here are instructions on how to add alt text to your Instagram photos. By taking a few seconds to add alternate text to your Instagram photos, you can ensure that they are accessible to each and everyone of your customers. If you find that you don't have alternative text on Instagram yet, be sure you've updated your Instagram app to the latest version in your devices app store. You can read the announcement about adding Instagram alt text to your photos here. The first tool that we have discovered this week is Zubtitle (web). Subtitle is a video caption tool to help you automatically add captions to your social media videos and increase your video reach and engagement. According to Zubtitle, 80% of videos on Facebook are watched when on mute. To capitalize on this trend, Zubtitle can help you generate the necessary captions for your videos. Here is a look at how easy it is to use Zubtitle. It costs $6 per video to have captions generated. You can also make a bulk purchase for 10 minutes of videos for $8, or 60 minutes for $36. You can give Zubtitle a try from the following link. The second tool that we have for you this week is Loom (web). Are you looking for a better screen recording tool? With Loom, you can quickly record your screen and share it with clients or customers. For example, during Social Chatter, Phil suggested using Loom to record a video to send to a client when you're trying to close a deal. Loom can also be useful for recording an annotating video tutorials in seconds. Here is a look at the Loom screen recording interface. Loom is a free screen recording tool used by Dropbox, Airbnb, Google and many others. You can download it below and use it on your Mac or Windows desktop.